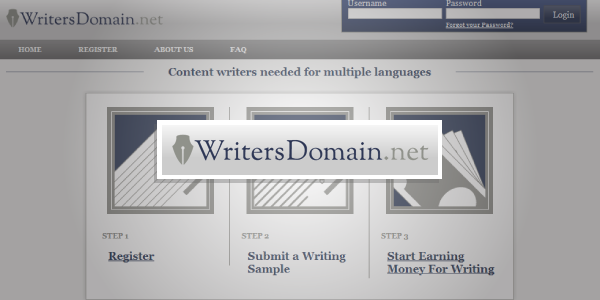 Writer’s Domain is a content mill that allows you to log on and choose keywords to write about. During my research I became so intrigued that I applied myself. I went through the whole process and have been writing for them for about a week. There have been some bumps in the road, but I have decided that was good because it has given me insight that I hope will help out anyone else who wants to apply with them. With Writer’s Domain you are given a keyword list to choose from on a writer dashboard. You click on the one you wish to write about, and you are taken to their workspace. Every one so far has been for a minimum of 200 words using the keyword twice. You also have to come up with a unique title that uses the exact keyword. The keywords are things like “Vancouver dentists” or “Edmonton heating systems.” These are very short, easy to write, and require little research. This means you can write a whole bunch in a short amount of time if want. It is not exactly creative writing, but it is writing. The pay scale starts at $3.00 for 250-300 words, with a bonus of $.30 for higher ratings. Here is the deal with the ratings. There are two for each article, one for grammar and one for content, but from what I can tell unless you do poorly you will only see the overall rating. The ratings are from one to five stars, and four and five stars get the bonus. The two are averaged for the overall rating, so that if you have a grammar rating of 5 and a content rating of 3 then the overall rating is 4 stars. 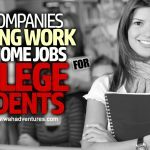 While this does not seem like a really high pay rate, consider that most of these you can do really fast and you could make a decent amount of money here, even more so with the bonus. They pay monthly on the 5th, but those that work for them say that if you hit $100 you can choose to be paid out immediately and the money is in PayPal almost instantly. I have not had a chance to test this yet, but several have reported using the option and having no problems. Many that work for them have noted in different forums about how pleased they are with their writer support, and my own experience is the same. Any questions I have asked have been answered the same day. Something to beware of is that, as far as I can tell, the workspace does not allow you to copy from it and paste to word for spell checking. I cannot tell that there is very much available in the way of editing there either, so write in word and copy from there to paste to the Writer’s Domain workspace. As a result of not realizing this to begin with, as well being a touch over excited, I got a couple of poor ratings. This is how I know that if you do poorly, you will get an email telling you what you did wrong and what each rating was. Otherwise, you just see the overall review and what you were paid for it. The review process takes two or three days, so it could be a touch slow. However, if you resist the urge to browse topics and pick which ones you want to write about, and simply click the link to take you to the next topic, you will get the top priority article available. This is good in two ways. 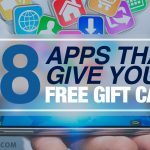 These are reviewed much more quickly, like within the hour from my experience, and you move from article to article more quickly so you work faster and make more money. You have to submit a W-9, and this was another bump in the road for me. They want you to either do an electronic signature, or print, scan, and upload as a PDF. The tutorial they offer for creating an electronic signature made my head hurt, so I chose to print it. I have never had so much technical trouble in my life as trying to get that form to save as a PDF. Let me save you some trouble. Go to the link they offer for the form, fill it out, and click on the “sign” button on the top right. It is extremely easy and fairly self-explanatory. It is also way easier than their tutorial made it look in my opinion. Visit writersdomain.net and sign up to apply as a writer. They will send you a package over email with more information, a link to a short video to watch, and a few keywords to pick from for a writing sample. You will also get a link to a grammar test. This was one of those bumps in the road I referred to. The test is 30 questions relating to basic grammar, but it is timed. I neglected to realize this to begin with and took my sweet time. This resulted in a big fat FAIL. Do not make the same mistake I did. You will not have time to look up answers, but in reality you probably will not need to as the questions are things like when to use “their” versus “there” or “they’re.” You get two chances at the grammar test, which I learned after emailing and asking for a second chance. They responded the same day, which was a Saturday I might add, that all I had to do was click the link again. Personally, I am impressed. As for me, this is quickly becoming one of my best fall back eggs when work from private clients is slow. It is not for everyone though. 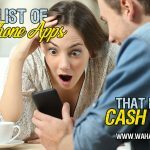 Some would consider it mindless and even boring, but it is definitely a legitimate way to make money online from home. Faith, great review! This really does sound like a good opportunity backed up by a good working format. Good luck as you continue and keep us posted in maybe six months? 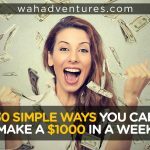 I have been writing for WD for months now, the mundane topics can be tedious and tiresome if you are a creative writer, especially if your using the site to make an income. I know one woman who is using WD’s work to help pay her mortgage, thus she’s writing a lot of articles. However it’s guaranteed money. If you do 5 articles its a guaranteed $16.50, after you get the hang of writing for WD and know what they want you’ll most certainly get the 0.30 bonus. There’s just one problem sometimes WD doesn’t have any articles half way through the month. Not exactly what you want in an at home job, no work. Both November and December 2012 the articles were dried up by the 14th. With that being said it’s not always like that, if you have a side writing gig it won’t be an issue. If you want a good way to make money writing, and take a little time to do it WD is where to go. It’s short articles and it’s an easy process. You’ll need to fill out and sign a W9 form and upload it to your settings page, this is AFTER you have been approved. Currently they aren’t hiring anyone but there is a waiting list. I also work for Writer’s Domain and I am impressed. I can write 5-6 articles per hour if I don’t have any distractions, and I almost always get the bonus. I think there has been twice when I didn’t in the last few months. Doing that many articles gives me about $15-$20 an hour which is great for me, especially since I can do it whenever I want. It was hard at first to be creative with the keywords, but now it’s quite simple. The only problem that I recently realized is that a lot of the writers are not very great at writing. I was doing some research on a new article and ran across one I wrote before. I explored the site to see if I could find any other ones I wrote. I didn’t, but I did get to read a lot that were obviously written by Writer’s Domain authors. I don’t claim to be perfect, of course, and I know sometimes I can get a bit lazy with my writing because I can get away with it at WD, but I feel like the low quality of writing that I saw is going to turn a lot of clients away and reduce our amount of work. I also would like to note that the articles do run out quickly, but it’s the middle of this month and I’m pretty sure the remaining articles will last through the end of the month, so maybe that means they’re picking up clients. I do like the system a lot, though, and the instant payments are awesome and literally take a few seconds to transfer. I love all of the money I’m making, how easy it is to write the articles, and how much work is available. I also think that their review process is much quicker than other sites I’ve worked with. Great review. I though I would just add another experience. I meant to say “I thought”. The WritersDomain.net registration has been closed for seven months but is now open! Registration is simple and straightforward and you can get to work right away. Something you may like to know, there is a technical issue taking place and I’ve mentioned it to the technical support. Instead of them helping me, they have sent me away and told me to look elsewhere. How is that for customer service? I have saved all of these emails and will be discussing the matter further on my blog. I find it quite rude. It seems to be down again. Does this happen often? I’ve just started with them and have been skeptical that it’s for real–no pay yet. 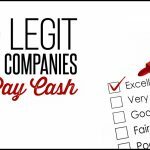 Shari, I haven’t written for them in a very long time, but I do know they are legit and they do pay out, though it is only monthly (at the beginning of the month if I remember right) unless you hit the “pay me now” amount of $100. At least it used to be $100. I would join their Facebook page. I see admin corresponding with writers there about various things, including down time and how long it takes to get reviewed. I hope it gets better! I just clicked the link in your article and got an ‘attack site’ warning. Really? I just clicked them both and went right where I was supposed too. Maybe Miranda already saw this and fixed it. Thank for letting us know! This is very useful information. I just joined Text Broker and they asked for the W-9, and I wasn’t wanting to deal with jumping through another hoop, but it seems to be a standard thing for freelance sites; so that’s encouraging to know. This makes me want to try Writer’s Domain too. Thanks for sharing. Help please! I signed up for writers domain and I am a bit confused. Where do you find articles to write? Hi there, how do I place an order for my blog at writers domain? Thanks. How much do they charge for 400 blog post? Hi: This information is outdated as Writer’s Domain recently made some big changes to their system. Their expectation now is for content that is of much higher quality than the content they previously accepted. The rate of pay has also changed quite a lot (for the better). Really, the entire format has been changed, and it is very different from what is described in the above blog post. Actually, in the interest of being accurate: The format has not changed entirely, but the pay rate, expectation of content quality, and editing process have all had a major overhaul. (Just thought you might want to update the info). I’ve done some article writing before, for an organization I worked with, but this is the first time I am looking into freelance writing. I noticed that you’ve mentioned paypal in a couple places already, and I am wondering if that is a pretty standard way to get paid for freelancing. I do have a paypal account that I started ages ago, but I don’t use it and would prefer not to. Do I have a choice? 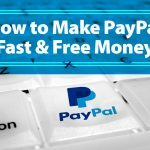 PayPal is a standard way of being paid in the freelance world. However, you can choose clients/companies that offer alternative payment options if that is important to you. This company – WritersDomain.net ripped me off for nearly $300.00. I did the work, they never reviewed, accepted or rejected my 14 articles, they just deleted them and never paid me. This has hurt me financially, as most freelancers know, time is money, and I spent 3 days on this work. Just thought someone should know before doing ANY work with this company. For those of you reading this, I would take the above comment with a grain of salt. I have been writing for WD for about two years now, and I have never not been paid for my work. The only time I have ever heard of someone not being paid is if the work did not meet the minimum standards, or if someone was submitting plagiarized content. WD makes up the bulk of my monthly income, and I know quite a few writers who do well there, and WD does not just delete work and not pay for it without a reason.